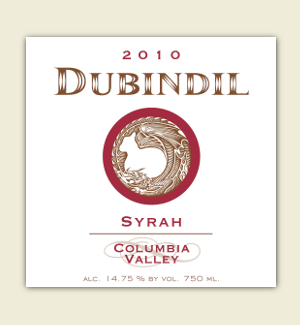 Our 2010 Columbia Valley Syrah is a mulit-vineyard blend of 100% Syrah. This Syrah fills the mouth with a finely balanced bouquet of violets, blueberry jam, mocha, and a hint of licorice. Soft and appealing, the tannins are relaxed and pleasant. Pairing Notes: You can’t go wrong pairing this wine with rosemary lamb or peppered steak. Also, pair with seared duck breast, smoked salmon or cured meats and cheeses.